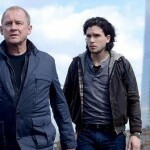 Now that a majority of pubic television viewers have experienced the most recent jaw-dropping season ender of a series of Spooks (MI-5), it’s time to set our sights on the upcoming season 10, set to air this Fall in the UK on BBC One and early to mid-2012 on public television stations in the U.S. Initial reports from Kudos, the brilliant producers of the series, simply said that season 10 would feature a “huge secret” involving Harry. Additional details have now been released that have me counting the days to the premiere…. True Blood’s Lara Pulver joins the Grid, heading Section D, following the shocking Lucas North betrayal brought season 9 to a close, joining Harry, Ruth, Dmitri and Tariq. Doesn’t get any better than this. How long until Fall in the UK? I’m now at S9:E2 in Tucson. No way to wrap one’s mind around this incredibly successful and long-running series. So many character changes I often wonder if there’s a captain running this amuck ship. If I had a phrase? ‘Helter Skelter’ – but I know there’s a master-mind writing team out there somewhere, just haven’t researched it yet. Kudos. BTW, what do they smoke? Can one buy a nickel bag? Pulling legs, but it seemed the appropriate comment at the time. @Bob: Better slow down. Once you get to S9: E8, you are done for almost a year. S10 not set to premiere until late Fall 2011 in the UK and Spring 2012 in the US. Pace yourself. Thanks for the intel, Bill. After S9:E8 I’ll revert to ‘Intelligence’, the short-lived Vancouver-produced spook series, watch it again, then catch up on several documentaries and flik’s I’ve got in my NTFX queue. I’m well-prepared for tv-retirement. Still, I’ll miss all these curious critters. Done and done with Episode 80. I’ll be ready for next year! 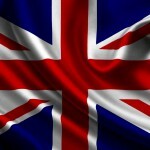 I have been watching the MI5 Season 10 in Los Angeles and I am enjoying it very much. Thanks BBC. @Ashley: Curious as to how you are getting season 10 as of yet as it will not air in the UK until Fall and not on public television stations until early 2012. Are you, perhaps, referring to season 9? Finished #80 today. Anticipated Richard Armitage’s departure due to his filming The Hobbit. But what a way to go!! Have told all my friends how well British spy/detective serials are done. Can’t wait for the next season to find out about Harry. I love how the character development and backstories slowly evolve. Very well done production. i think the worst part is knowing that since i am done watching seasons 1-9 on netflix that i have to wait till 2012 to watch season 10. the benefits of living in the u.s. i suppose. @Cindy: we’ll bring them to you as soon as we can. Be strong! Seven episodes to the end. Dang it, how long before season 10 will be available????? 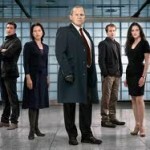 @Ga: The final six episodes in S10 of MI-5 will be available to public television stations in the U.S. beginning in April 2012. From what we have been told, it will broadcast beginning sometime this Fall in the UK. @Angie: Definitely report back if you have a chance to see. Going to be a long time until April 2012 for U.S. viewers. Have a great trip. Just finished watching epidode 80 and after locking myself in the bathroom so noone would see me crying hysterically over a “tv” show, have been on line trying to find out exactly when and on what channel season 10 will air here in Michigan. Today feels like losing a lot of really good friends. Simply put, this is and has been one of the most engaging, brilliant and scandalous TV dramas I’ve ever dared to love. Only Page Eight and the US’s Under One Roof and Gideon’s Crossing dare be mentioned in the same breath. 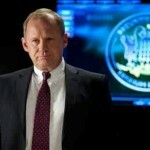 Bravo to the writers and producers of Spooks (MI-5)!